Foamy shampoo removing dirty without removing the protective wax layer. 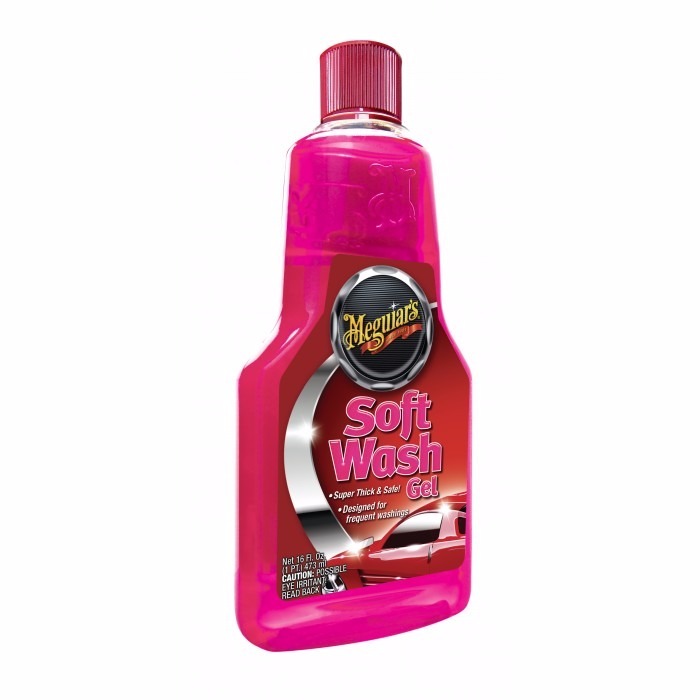 The Soft Wash Gel by Meguiar´s combines action by conditioning agents and optical brighteners which easily remove dirty, bird droppings and sooth off painting while restoring car gloss and finishing. Its formulation, with balanced pH, does not remove wax protection off the car even with frequent washing, as opposed to most domestic detergents.